If you are tired of making meals three times a day for the family, but are stumped on your alternative options, it may be time to consider meal prepping. This new trend isn’t just for fitness junkies who want to track their food intake and nutrition; it’s a great way for families to eat healthy, save money, and not have to spend time they don’t have cooking everyday. If you are seriously considering the meal prepping alternative, check out these five easy and affordable meal prep recipes to get you started. There are so many reasons to swoon over these yummy, nutritious frozen yogurt and smoothie pops. They are easy to make and fun to eat (so the kids won’t be so picky about trying them), plus they’re packed with lots of antioxidants and other vital nutrients. To make yogurt pops, pour Greek yogurt (regular yogurt of any flavor will also work) into a tray that you would typically use to make popsicles. Mix in fresh berries and freeze until you are ready to eat. 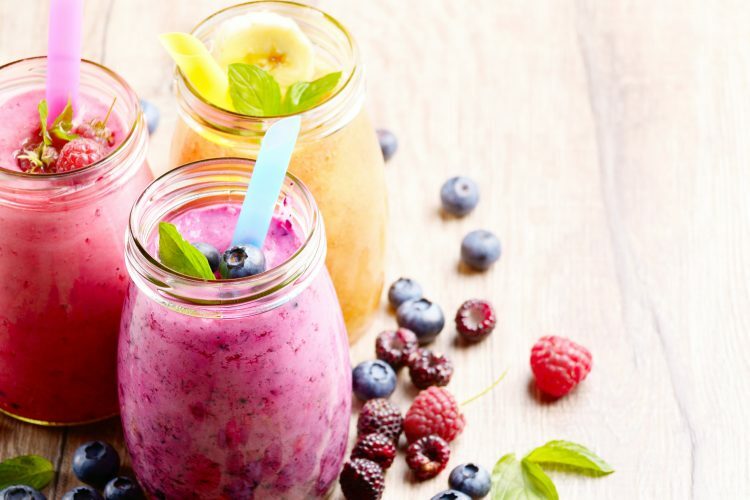 To make smoothie pops, make whatever flavor smoothie you prefer—bananas and/or berries make easy favorites—but after blending, pour the mixture into a muffin tin. Freeze until you’re ready to eat. These healthy treats make excellent breakfasts additions and midday snacks. Get all your dinner cooking done using just your oven and one pan. Drizzle salmon with olive oil, lemon, butter, salt, and pepper and place on a pan covered in foil. Add veggies of choice (such as asparagus, Brussels sprouts, red potatoes, or sweet potatoes) and bake. You can also switch out the salmon for tilapia, halibut, or chicken. This meal prepped dinner is not only flavorful, but also easy to whip up and preserve for several days without it going bad. If you want a tasty dinner that is quick to make and optimal for meal prepping, try a steak stir-fry. Gather carrots, one green onion, broccoli, and one red bell pepper and combine the vegetables with garlic, soy sauce, sesame seeds, and vegetable oil. Finish off the stir-fry dish with beef sirloin cut into 2-inch strips and you have yourself a tasty meal for the whole family. Make this recipe in bulk and have enough for a couple dinners throughout the week. Who said your office desk salad has to be sad? A leafy green salad is more than just a healthy dish. It’s an opportunity to get innovative about what you eat, and there are countless ways you can make your salad. Pack your lunch in a mason jar and try a new salad recipe each day. Craving tacos? Pour your dressing of choice in first (dressing should always be the first ingredient, to prevent the rest of the salad from getting soggy), then add salsa, red onions, black beans, corn, leafy greens, taco meat, and tortilla chips. Want a vegan alternative? Check out sites like Pinterest to explore an extensive variety of totally vegan options. Most wouldn’t consider a bacon, lettuce, and tomato salad a breakfast dish, but a healthy dose of greens is a great way to start the day. Meal prep the BLT breakfast by layering a bowl with spinach and arugula, followed by slices of tomato, and turkey bacon. But the key ingredient to this BLT dish isn’t bacon, lettuce, or tomato: Don’t forget to top this dish off with a hard-boiled egg. If you have a little extra time in the mornings, poach the egg and allow the yoke to dress your salad. To learn about more amazing recipes that are cheap, easy, and healthy, check out more iRazoo posts today.